Despite claiming on October 24th that he is not running for Senate in 2018, on October 26th Robert J. Ritchie (that's Kid Rock's real name) filed a trademark application for KID ROCK FOR SENATE with the U.S. Patent and Trademark Office. This appears to be the first application for KID ROCK FOR SENATE filed by Robert J. Ritchie and the only trademark application filed by him in 2017. Kid Rock filed this application on an intent-to-use basis, suggesting he is not currently using this mark with the listed goods and services but has a bona fide intention to do so in the near future. TMEP 806.01(b); 15 USC 1051(b). Before this application can fully register, and assuming there are no other issues with it, Kid Rock will need to actually start using this trademark with the listed goods and services and submit sufficient proof of such use to the Trademark Office. TMEP 902; TMEP 904. How do we know this Robert J. Ritchie is actually Kid Rock? Despite the fact that the mark references Kid Rock, there are a couple other indicators: (1) the address listed in the application (a Tequesta, Florida P.O. box) appears to coincide with Kid Rock's charity and is the same address listed in Kid Rock's AMERICAN BADASS BEER COMPANY and KID ROCK trademark registrations and (2) the attorney listed in this application is the same attorney listed in many other Kid Rock trademark applications and registrations, including the registration for KID ROCK. Is Kid Rock actually running for Senate or is this just a publicity stunt? Notably, this trademark application does not include "political campaign services," which is often included in trademark applications for political campaigns, such as the application for Evan McMullin's logo I blogged about last year. Therefore, unless and until Kid Rock further clarifies the goods and services listed in this application, submits specimens showing use of this trademark, and/or files a new application that covers political campaign services, we may have to take his word that he is not actually running for Senate in 2018. Bummer? Is This Recent Trademark Application for Bartending Robots? On October 25th, a company called Lush Robotics, Inc. filed a federal trademark application with the U.S. Patent and Trademark Office for LUSH [standard characters] covering a variety of goods and services that appear to be related to robots (and possibly bartending robots). Computer programs, downloadable computer programs and mobile device software for control of intelligent robot, for beverage, snack and food mixing, for conducting financial transactions, for image recognition, for communicating with other users, for sending beverages and redeemable credits to other users and for social networking (Class 9). Bartending robots? Or just a fancy vending machine? Unfortunately, this application does not give us much more detail. Lush Robotics filed the application on an intent-to-use basis, suggesting it is not currently providing these goods/services under the LUSH mark but has a bona fide intention to do so in the near future. TMEP 806.01(b); 15 USC 1051(b). Therefore, Lush Robotics did not need to submit any specimens showing how this trademark is being used in commerce, which would have shed some more light on these goods and services. TMEP 904. However, Lush Robotics will need to eventually submit acceptable specimens if it desires a registration for this mark. TMEP 902. According to my quick search, Lush Robotics, Inc. does not even have a website, although the trademark application indicates they are a Delaware corporation located in Palo Alto, California. This appears to be the first trademark application filed by the company with the USPTO. As I've blogged about before, the U.S. Patent and Trademark Office will not register (on the Principal Register at least) trademarks that are merely descriptive without a showing of acquired distinctiveness in the marketplace. 15 USC 1052(e)(1). Merely descriptive trademarks describe "an ingredient, quality, characteristic, function, feature, purpose, or use of the specified goods or services" and the law prefers that these descriptive designations remain free for all to use, at least until the relevant consuming public starts to associate that designation with a particular product or service. TMEP 1209.01(b). Generic terms, which are primarily understood to be the common or class name for particular goods or services, are never registerable as trademarks. TMEP 1209.01(c). So will the USPTO register the mark ALMOND BUTTER (standard characters) filed by Slippery Squid, LLC on October 18, 2017? It's a descriptive, or possibly even generic, word combination, right? Not so fast. It all depends on the underlying goods or services, which in this case are described as "Audio recording and production; Entertainment services in the nature of live musical performances; Music publishing services; Presentation of musical performances; Production of sound and music video recordings." Is ALMOND BUTTER descriptive or generic for audio recording, music publishing, and music performances? Probably not (unless maybe the music is about almond butter). In this case, ALMOND BUTTER is likely an arbitrary trademark because it has nothing to do with the underlying music services. Arbitrary trademarks "comprise words that are in common linguistic use but, when used to identify particular goods or services, do not suggest or describe a significant ingredient, quality, or characteristic of the goods or services." TMEP 1209.01(a). APPLE for computers is a good example of an arbitrary trademark. Arbitrary marks are much stronger than descriptive trademarks and therefore typically enjoy a greater degree of protection. Such marks can also be registered on the Principal Register without a showing of acquired distinctiveness. This ALMOND BUTTER application is a good example of two important trademark concepts - (1) merely descriptive trademarks are weak, more difficult to register, and should be avoided, if possible and (2) the underlying goods and services play an important role in determining a trademark's strength (use of a word on some goods may be generic while use of the same word on other goods may be arbitrary). In sum, had this application covered "almond butter" rather than music services, the applicant would have been in trouble. However, because the underlying services [probably] have nothing to do with almond butter, the risk of a refusal for being generic or descriptive is probably not likely (although there are several other issues that could prevent registration, such as creating a likelihood of confusion with a mark in a previously filed application or registration). 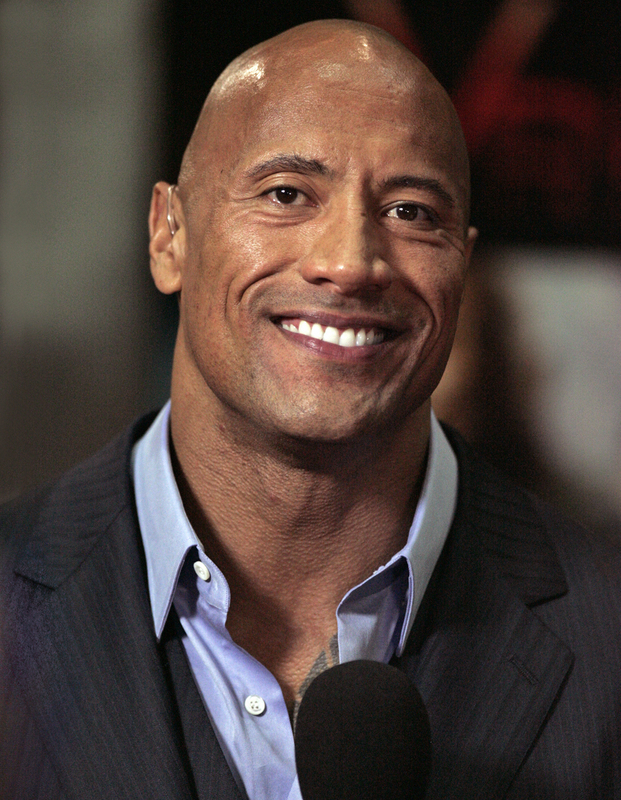 Dwanta Claus, Dwayne "The Rock" Johnson's holiday alter ego, may be a registered trademark soon. On October 12th, DJIP, LLC (the same entity that owns a trademark registration for DWAYNE JOHNSON) filed a federal trademark application with the U.S. Patent and Trademark Office for DWANTA CLAUS. Pre-recorded CDs and DVDs featuring entertainment films, health, nutrition, sports, athletics, exercise, instructional content regarding exercise, fitness, motivation and self-improvement, television, celebrity news and information, motivation and self-improvement information, sports news and information, and music (Class 9). The application was filed an on intent-to-use basis, suggesting (but not necessarily meaning) that The Rock is not using DWANTA CLAUS in conjunction with the listed goods and services yet, but has a bona fide intention to do so in the near future. TMEP 806.01(b); 15 USC 1051(b). Before this application can mature into a registration, he must provide evidence to the Trademark Office that he is using the mark with the listed goods and services. See TMEP 1103. According to my quick search, this is the first application for DWANTA CLAUS filed by Dwayne Johnson (or, more appropriately, the legal entity that appears to hold his trademarks). Apparently the actor has been using the term "Dwanta Claus" for quite some time, including when he gave away a car last year, when he visited a sick teen in the hospital, and when he read his "Twas the Night Before Rockmas" on YouTube. Given the expansiveness of this trademark application, it doesn't look like The Rock plans to give up this phrase anytime soon. Expect to hear more from Dwanta Claus this holiday season. No, I'm not talking about the filing fee to the U.S. Patent and Trademark Office (that was $275 per application). I'm talking about the actual mark CBS wants to register. On October 11th, CBS Studios, Inc. filed two federal trademarks application for "$1" in standard characters (meaning the registration sought covers only the text, not a specific stylized version - see TMEP 807.03). One application covers "Digital media, namely, pre-recorded digital video discs, digital versatile discs, DVDs, downloadable audio and video recordings, and high definition digital discs featuring drama; Downloadable television programs featuring drama provided via a video-on-demand services" in Class 9. A TV show called $1? Maybe. CBS filed this application on an intent-to-use basis, suggesting it is not currently using this trademark in commerce in conjunction with the listed goods and services, but has a bona fide intention to do so in the near future. TMEP 806.01(b); 15 USC 1051(b). Although this is not a guarantee CBS will release a television series titled $1, it is supposed to be a guarantee that something is in the work for such a show. According to my quick search, these are the first trademark applications for "$1" filed by CBS. CBS Studios currently owns 374 other live trademark applications or registrations with the USPTO. Recognize the closing credits scene below? Can you hum the jingle that accompanies it? This animated scene appears at the end of The Simpsons, and other shows produced by James L. Brooks' Gracie Films. The film and television production company (or, more specifically, the Trustee(s) of The Brooks Family Trust) just filed federal trademark applications for the logo (seen below), animation, jingle accompanying the animation, and the words GRACIE FILMS and JAMES L. BROOKS. The Brooks Family Trust filed each of these applications on October 5th and, with the exception of the JAMES L. BROOKS application, all the applications cover entertainment services in the field of film and television, namely, the creation, production and distribution of motion picture films, television programs and animation in Class 41 and claim a first use date of 1984. The JAMES L. BROOKS application covers "Entertainment services, namely, director, producer, and screen writing services for motion picture films and television programming" and claims a first use date of 1965. As these applications demonstrate, and as I've blogged about before, it is possible for trademarks to take the form of something other than a name or a logo (in this case, a sound and an animation). Sound marks, for example, can "function as source indicators when they 'assume a definitive shape or arrangement' and 'create in the hearer’s mind an association of the sound' with a good or service." TMEP 1202.15. You can listen to the sound covered by the sound mark application here. Is this a familiar arrangement that creates an association with a particular good or service in your mind? Shorts clips or animations can also function and be registered as trademarks. HBO, for example, obtained a registration for its iconic opening and closing scene. The motion must actually identify and distinguish the goods/services and indicate their source. To identify the motion mark, the applicant must submit to the Trademark Office a drawing that "depicts a single point in the movement, or...a square drawing that contains up to five freeze frames showing various points in the movement, whichever best depicts the commercial impression of the mark" along with a "detailed written description of the mark." TMEP 807.11. 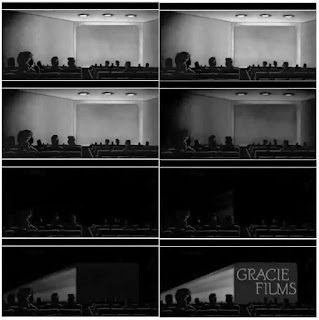 For this motion mark application, the Trustee(s) of the Brooks Family Trust submitted the drawing above and described the mark as "a computer generated sequence showing movie goers in a darkened movie theater watching a projection of a film with the words "GRACIE FILMS" on the movie screen." 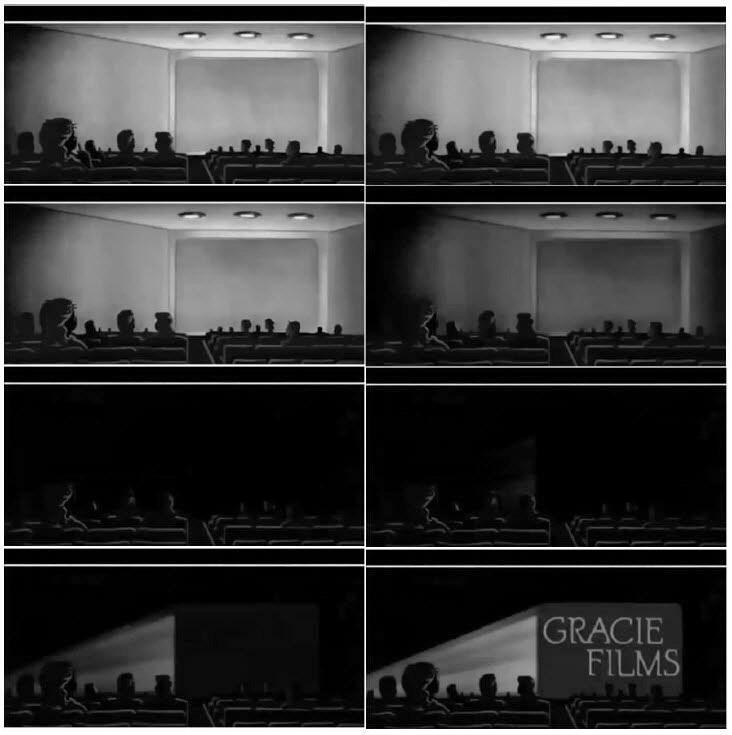 These Gracie Films-related trademark applications are a great example of the different types of marks that may be registered with the U.S. Patent and Trademark Office. These five applications cover standard character (word) marks, design marks (i.e., logos), sound marks, and motion marks. While the procedural hurdles for obtaining registrations for sound and motion marks can be a little more complex, such registrations are certainly possible.